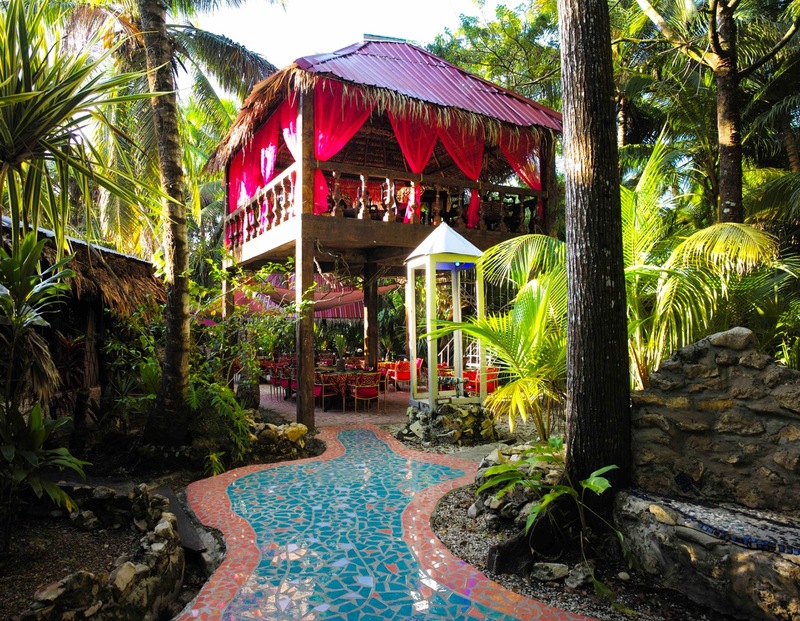 Formerly known as the Maruba Resort, the Belize Boutique Resort and Spa is a resort located on a large jungle property just 30 miles from the international airport or a one-hour boat ride from the islands of Ambergris Caye and Caye Caulker. Originally founded 31 years ago as the first resort, spa and destination spa in the country of Belize, the resort’s most famous specialty is their mud massage spa treatments. The resort’s spa currently offers different unique mud treatments, each carefully blended from local clays in order to achieve a specific therapeutic effect such as improving blood circulation, exfoliating or detoxifying and remineralizing the body. The spa is designed to emulate luxury spas found in cities such as Los Angeles with a full range of other treatments, including aromatherapy, manicures and pedicures, wraps, and massages. The spa also offers special treatments such as romantic couples massages which are ideal for honeymooners, lovebirds, and fiancees who are getting married in Belize. The resort regularly hosts and organizes honeymoons and various retreats, as well as weddings either on its property or at a nearby Maya temple. Offering a full range of wedding services, including flowers, the cake, an officiant, and assistance with the necessary paperwork, the resort is a beautiful jungle enclave ideal for tying the knot. Keeping with its health center origins, all of the food served at the resort is organic and designed to promote a healthy lifestyle. The resort also has its own heated mineral bath and several landscaped paths through the grounds and jungle perimeter. Indeed, the setting is ideal for yoga workshops, many of which are held on the resort grounds throughout the year. Located on a vast, 1,000-acre property, the resort has just 16 rooms, suites, and villas, making it an ideal place to relax, unwind, and escape from the hustle and bustle of the modern world. Its small size and attentive staff make this boutique resort a great option for families, adventure travelers, and romantic couples. Five of America’s biggest airlines all now fly directly to Belize from 10 different cities across the United States, and both Air Canada and WestJet fly to Belize from Calgary and Toronto. Aeromexico has also announced that it will begin flying to Belize from Mexico City beginning in December 2018, making it easy for travelers to enjoy a vacation in Belize and the surrounding region. The resort regularly organizes trips in the surrounding region, including snorkeling expeditions and scuba diving on the reef, visits to ancient Maya sites, excursions to historic Belize City, and outdoor adventures like medicinal hikes, bird watching, zip lining, and cave tubing. Visit the resort’s website: www.belizeresortandspa.com to learn more!